It’s time to dust off that LinkedIn page and update your Google certifications. Google’s PPC marketing giant known as Adwords recently underwent some rebranding. 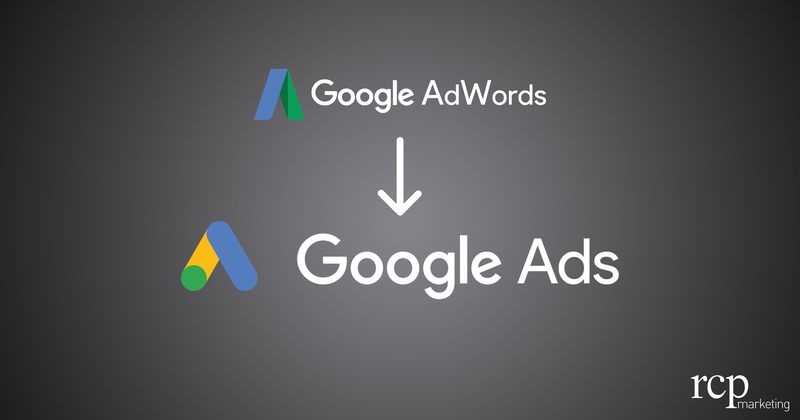 Google Ads has replaced AdWords, and beyond the rebrand, Google announced some upcoming features and functionality for its various marketing platforms. Put simply, YouTube TrueView will soon give advertisers the ability to collect leads from forms baked directly into their reach ads. Nothing ground breaking here, but marketers have been asking for this feature for some time. Another quality of life change coming to Google’s marketing platforms is the long awaited cross device tracking within Google Analytics. This addition will serve as much needed decision maker when evaluating ad channel performance. As many of us digital marketers know, keeping up with Google Shopping is no walk in the park. This year we can expect to see a newly added Automated-Feed feature that will crawl your product sites, making managing feeds far less work. However, this new addition will come as a double-edged sword for some, as ease of use naturally brings increased competition. A lucky portion of Google Ads users have recently been given access to the beta version of Responsive Text Ads. In short, the platform’s machine learning capabilities are being rolled into search. This will allow marketers to input 15 potential 30 character headlines and 4 potential 90 character description lines for Google’s search AI to optimize from. Google Ads then generates up to 3 headlines and 2 description lines per ad, increasing overall first position search ad real estate by roughly 90%. Why is this such a big deal? Well, consider the rise of mobile usage, and the limited space available within mobile search. If 2nd position becomes buried under long-format Responsive Text Ads, the value of 1st position only grows. It will be more important than ever for advertisers to rank 1st on a page, and we can expect to be paying through the nose for it. For more on Responsive Text Ads, click here. Google is making things easier. Machine learning makes even the newest digital marketer dangerous, and with ease of use optimizations rolling out more frequently, we can expect growing competition within the platform. Increased competition means paying more per click, and if Responsive Text Ads prove to be effective, you can be sure we’ll see more marketing automation and higher Avg. CPC numbers in the near future. With a curious mind and a passion for strategic creativity, Don excels when business intellegence meets consumer insights. Don stays active in the gym, enjoys sampling beer at Grand Rapids breweries, and spends more time browsing Reddit than he’d like to admit.